City are murdering Chelsea, four up in under half an hour. Also in the news, the pitch be stop Qatar hosting the World Cup. 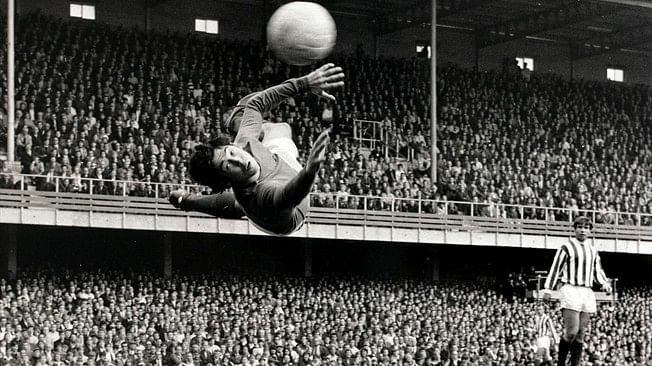 Gordon Banks, England's greatest ever keeper does she 82. In 1966 he won the World Cup, four years later he makes the most astonishing save ever, leading to a friendship with Pele, who is today leading the tributes. Food poisoning ruled him out of the match against West Germany. Friendly, indefatigable and proud, Banks was above all else a decent man. A sad loss to the sport. Reputedly Pele's reaction was to go to Banks and say, "I thought I'd scored." Banks is supposed to have replied, "So did I." Bobby Moore claims to have said, "Gordon, you're getting old. You used to hold those." One of the all time great saves, and one of the all time great keepers, that's for sure. The fans have turned on Chelsea. And it just seems obvious that swapping Kante and Jogovich would make them so much more solid. I can't imagine Sarri is long for the role, but the managerial merry-go-round isn't doing the side any favours either. The new David Squires cartoon mixes away from Sarri to feature Tottenham's Grand Designs, complete with Kevin McCloud and the guy from the Fyre festival documentary.